Chelsea’s trouble has gone from worse to bad after their manager Jose Mourinho was fined £50,000 and handed a one match stadium ban by the Football Association for his remarks against the match officials during the post match interview. The Blues gave away their lead against Southampton as they came from behind to beat the Premier League champions 3-2 at Stamford Bridge. After the defeat, the Portuguese tactician said his side were punished by referees in their defeat to the Saints. Mourinho was charged with misconduct by the FA earlier this month for his remarks. He has now admitted to those charges, forcing him to face the ban. “Jose Mourinho has been given a suspended one-match stadium ban and fined £50,000 after he admitted a breach of FA Rules in relation to post-match media comments,” a statement read on the FA’s official website. “Mr Mourinho’s suspended stadium ban will be immediately invoked should he be found by an Independent Regulatory Commission to have committed a further breach of FA Rule E3 for any comment or statement to or through the media before 13 October 2016,” it added. After two weeks of international break, the club football returns and Chelsea host Aston Villa in the Premier League clash. 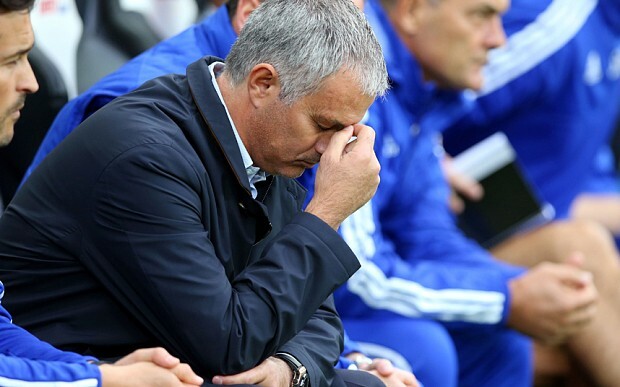 Mourinho will not be on the sidelines or anywhere at Stamford Bridge when the defending champions face Villa. Tim Sherwood’s side sit 18th in the table with four points from eight matches. They are just four points behind 16th place Chelsea and a victory over the west London club will only reduce the gap to a point between these two clubs. Should Chelsea recall Patrick Bamford in January?